Learn more by calling the Folkmoot Ticket Office, 828-452-2997. Groups of 20 or more receive a 20% discount, call 828-452-2997 for more information. There is no reserved or paid parking for performances at Haywood Community College. Folkmoot, a word meaning "meeting of the people," provides communities all over Western North Carolina the opportunity to build a deeper sense of connection, mutual respect and shared purpose by experiencing other cultures. Dancers from 10 nations around the globe will perform at 35th edition of Folkmoot Festival when it convenes July 19-29 in our beloved Smoky Mountains. Click for information on visiting countries. 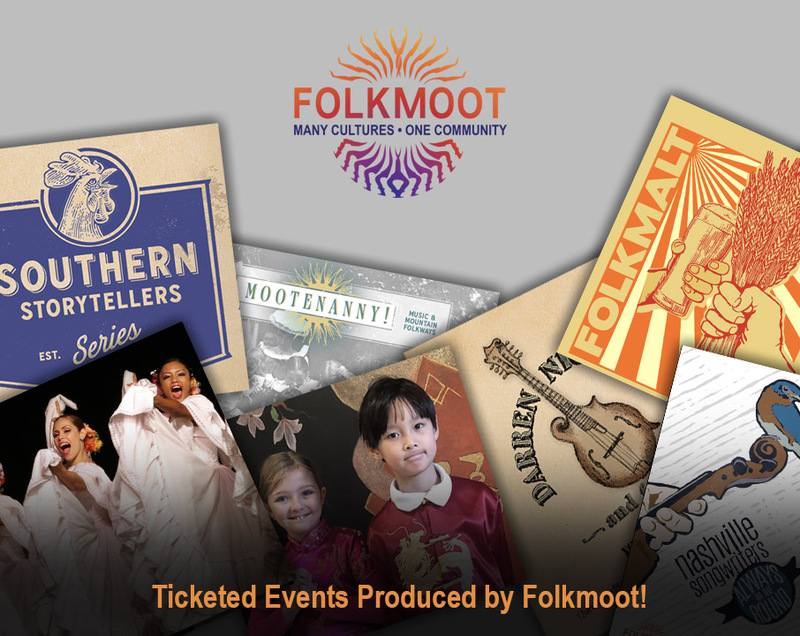 All Folkmoot ticket sales are final. Folkmoot is unable to manage refunds or exchanges. This is standard procedure for ticket outlets, art and cultural, sports and other ticketed programs. © 2019 ShowClix on behalf of Folkmoot USA. All sales are final. Tickets are non-refundable.